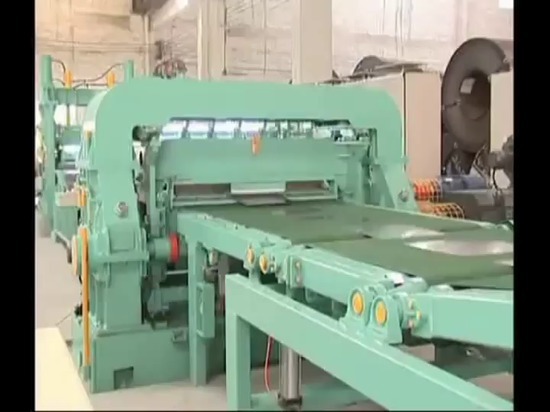 Flying shear, rolling shear and flying saw control system are important types of equipment for synchronized shearing of stripes, plates and pipes. 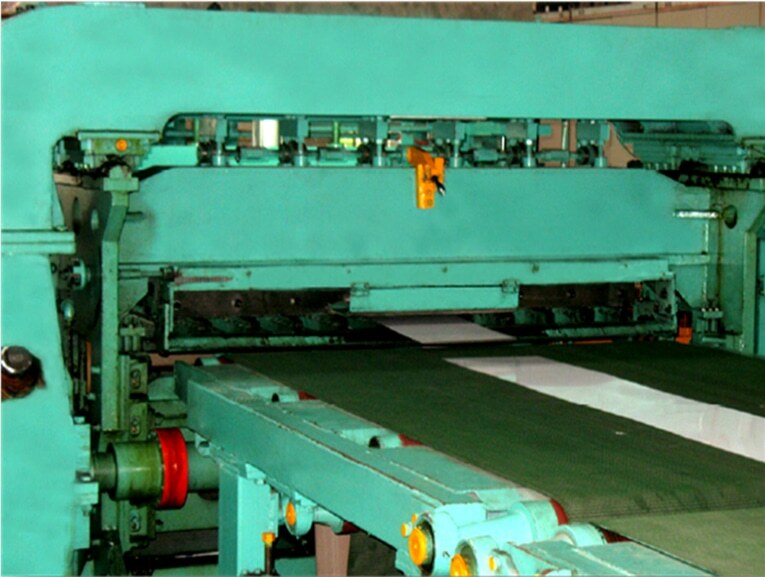 They are widely used in processing of steel, aluminum and carton paper. 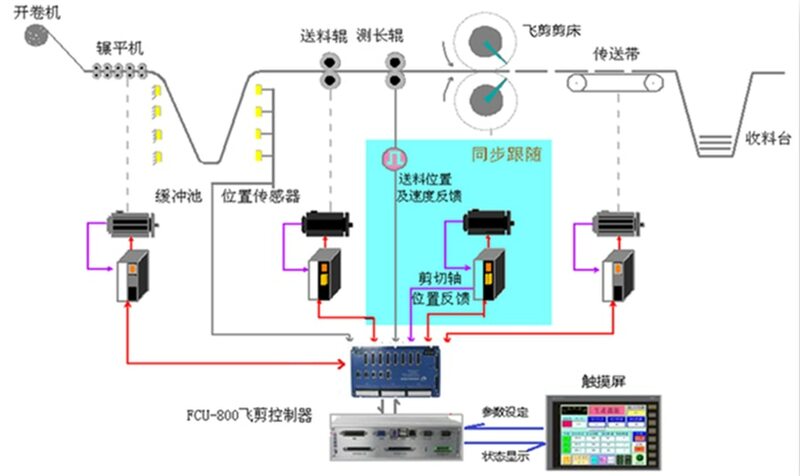 • Cycling function block: To manage the production process, including jogging, homing and rest of shearing axis, processing of production activation, acceleration, deceleration, stop and other operating signals. 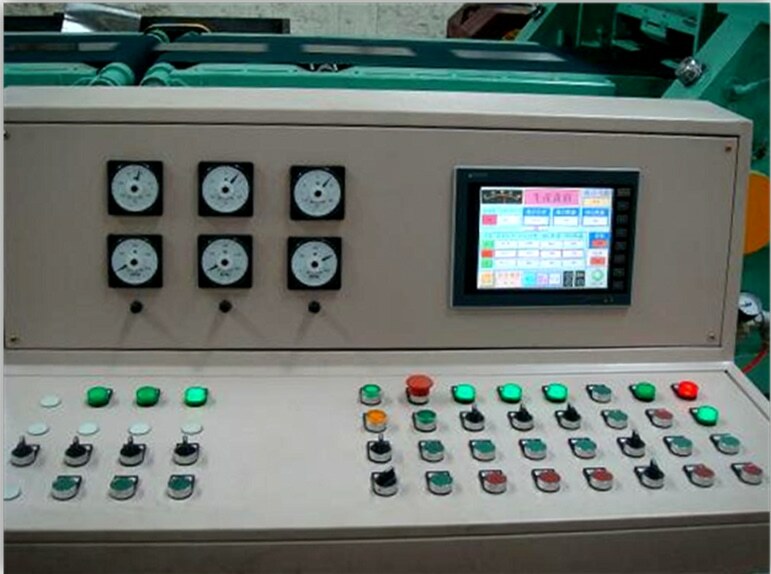 • Synchronized shearing function block: Planning of shearing axis motions according to production requirements and encoder feedbacks. 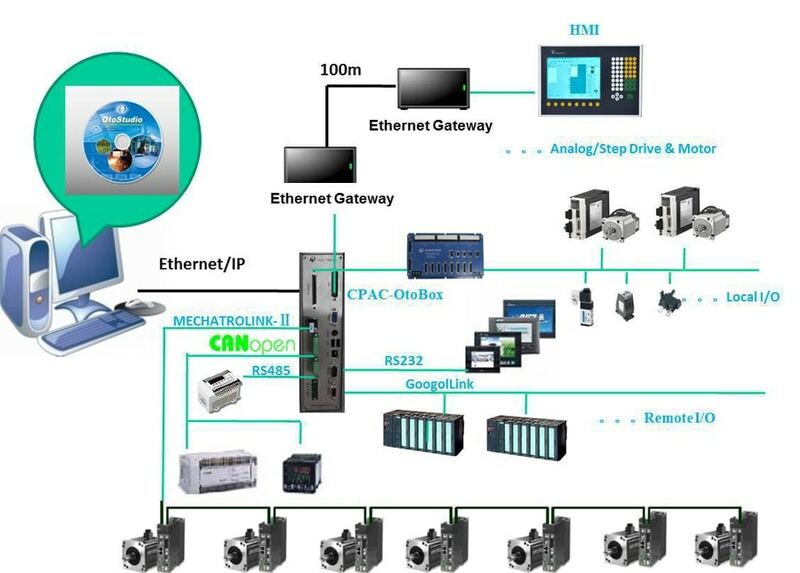 • Exception handling function block: Handling of alarms in production process, motion error and encoder exception to ensure the safety of the machine. 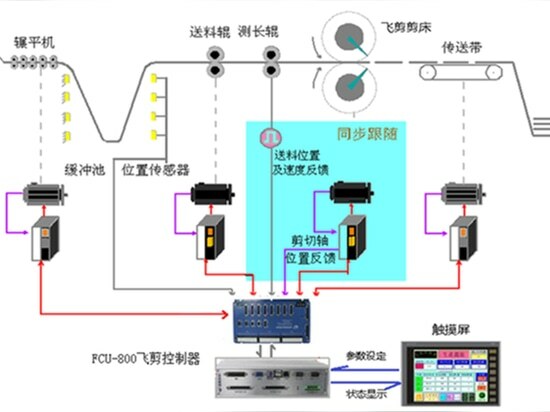 • OtoStudio - Software development platform of the flying shear control system. 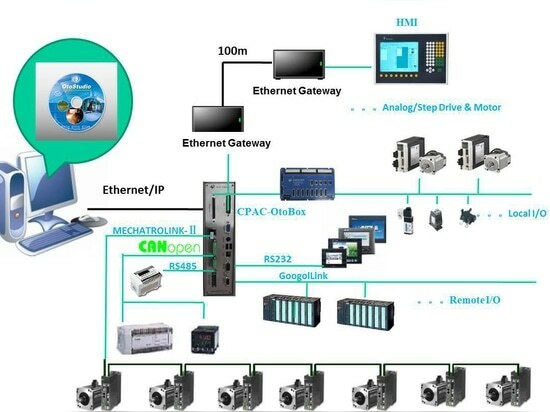 Synchronized following among different axes is fulfilled precisely via Googoltech's high performance motion controller. Reasonable motion planning curves ensure that synchronized following of acceleration, deceleration and high speed production process between shears and speed of production line, precision is thus raised and smooth cuts result. Friendly human machine interface makes operating convenient. The maximum shearing speed of the system can reach 300m/min. (shearing error <±0.3mm). This proves that Googoltech's CPAC shearing system possesses high performance and reliability.